The year was 1909. Tuberculosis was a leading cause of death in America, but advances in medical care had begun to reduce its lethal force. However, death rates from cancer were escalating quickly. Harvey Gaylord, MD, president of a cancer research organization that had been founded two years previously, wrote a letter to President William Howard Taft seeking government support to stem cancer’s rise. “Tuberculosis is today accorded the recognition which its importance demands, but cancer is just beginning to be systematically studied, and deserves much greater consideration than it is as yet receiving,” he wrote. That letter marked the start of a long history of advocacy efforts by the American Association for Cancer Research (AACR) – the first organization dedicated to preventing and curing cancer through research. The letter, and many other documents, photos, and artifacts, are now a part of the AACR’s new interactive timeline, available on our website. The AACR was founded on May 7, 1907, when 11 scientists gathered at the Willard Hotel in Washington, D.C. The new organization’s charter cited a single purpose: “to further the investigation and spread the knowledge of cancer.” The organizers welcomed 34 charter members, mostly physicians, who paid a modest $3 in annual membership fees. There was no formal administrative structure. 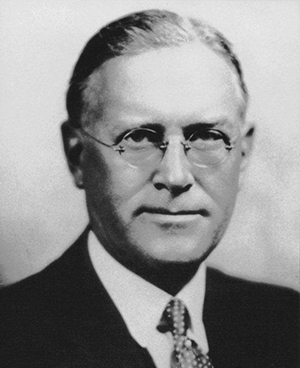 Francis Carter Wood, editor of The Journal of Cancer Research. The period between 1940 and 1963 brought tremendous growth. The Annual Meeting was temporarily suspended during the final years of World War II; however, when the war ended, research that been launched in support of the war jump started an era of biomedical advances. The 1950s saw the rise of experimental animal models, cancer chemotherapy, clinical trials, and the rapid growth of pharmaceutical companies. After several years of debate over whether the AACR should begin to recognize individual scientific achievements through awards, in 1961 the board approved the G.H.A. Clowes Memorial Award. 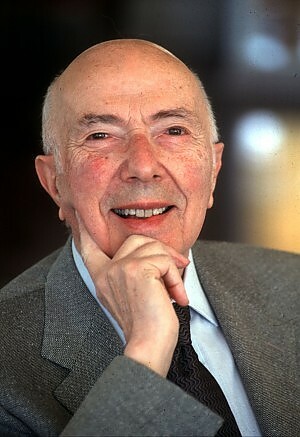 Renato Dulbecco, MD, won the inaugural prize, then went on to share a Nobel Prize in 1975 for his work on oncoviruses. In the 1960s and 1970s, the AACR began to play a more crucial role in public policy. The organization gave its first public service award in 1967, and issued a position paper on smoking in 1968. 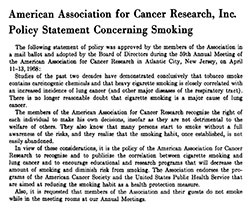 The paper pointed out the growing evidence of the link between smoking and cancer, and called for a ban on smoking in the meeting rooms of the AACR Annual Meeting. When the federal government passed The National Cancer Act of 1971, several AACR leaders took active roles in the debate surrounding the National Cancer Program. This involvement led to the formation of the first public issues (science policy) committee in 1977. 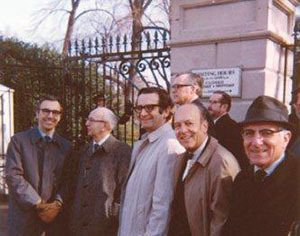 AACR leaders attend the signing of the National Cancer Act in 1971. 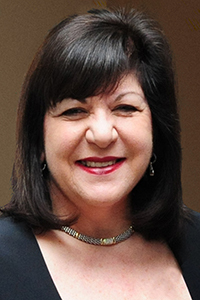 In 1982, Margaret Foti, PhD, MD (hc) was appointed chief executive, ushering in an era of rapid growth, innovation, and change. Membership grew dramatically, thanks in part to new membership levels and special-interest groups. In the 21st century, the pace of scientific innovation has accelerated dramatically, and the AACR’s efforts have supported all elements of cancer research, from the laboratories that launched immunotherapy to the legislators who fight for more and better funding for cancer research. Survivors and advocates are the heart of the AACR’s mission, as evidenced by the creation of a Scientist↔Survivor Program and a consumer-focused magazine, Cancer Today. In 2008, the AACR became the Scientific Partner of Stand Up To Cancer, a collaboration with the Entertainment Industry Foundation that has since raised more than $240 million for cancer research, including funding for multi-institutional research “Dream Teams” focused on specific cancers. Internationally, the AACR opened offices in Shanghai and Toronto and has teamed up with organizations from other nations on several conferences. We’ve also expanded the number and scope of our public affairs programs, bringing the most recent information on cancer research to increasingly wide audiences. As the timeline points out, “No history could possibly cite all of the many people worldwide who have contributed to the success of the AACR in its vital mission.” We look forward to writing the next chapters in the AACR’s ever-evolving story.